Japanese violinists’ birthdays in April include SENJU Mariko千住 真理子 (b. 1962) on 3 April, USHIODA Masuko 潮田益子 (1942–2013) on 4 April, URAKAWA Takaya 浦川宜也　(b. 1940) on 13 April, NISHIZAKI Takako西崎崇子 (b. 1944) on 14 April, Urushihara Keiko 漆原啓子(b. 1963) on 16 April, and HARADA Kôichirô 原田幸一郎 (b. 1945) on 29 April. Ushioda Masuko was one of many violinists who won international competitions in the 1960s. She studied in Leningrad (St Petersburg). She joined the New England Conservatory in 1974, the same year as her husband, the cellist Laurence Lesser. Ushioda spent more years of her life abroad than in Japan, but nevertheless cultivated the connection with her native country. You can read the obituary on the NEC’s website here. 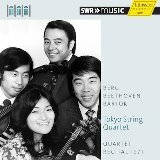 Urakawa too studied abroad, in Germany, where he subsequently became concertmaster of the Bamberg Symphony Orchestra before concentrating on a solo career. Like several of his contemporaries he returned to Japan mid-career and was appointed professor at Tokyo University of the Arts (Geidai) in 1981. Nishizaki, another competition winner of the same generation, has enjoyed an international performing career and is one of the most recorded violinists around. Presumably, being married to the founder of the highly successful Naxos label helped. Her recordings include Chinese music, such as the famous Butterfly Lovers Concerto. Harada was one of the founding members of the famous Tokyo Quartet and its first violinist until 1981. Although the quartet was founded while its members were studying at Juilliard, they had already played together during their time at Tôhô Gakuen School of Music, where Harada still teaches. The Tokyo Quartet only disbanded in 2013. Senju and Urushihara are almost the same age, but have very different careers, reflecting the many and varied opportunities and paths chosen by violinists born in the 1960s compared to the previous generation. Senju graduated from Keiô University rather than from a music college and her career has concentrated on Japan: she has also published books and sheet music. Urushihara, while still a student at Tokyo Geidai and just 18 years old, became not only the first Japanese but also the youngest ever winner of the Wieniawski competition in Poznan in 1981. Since then she has performed widely both in Japan and abroad. 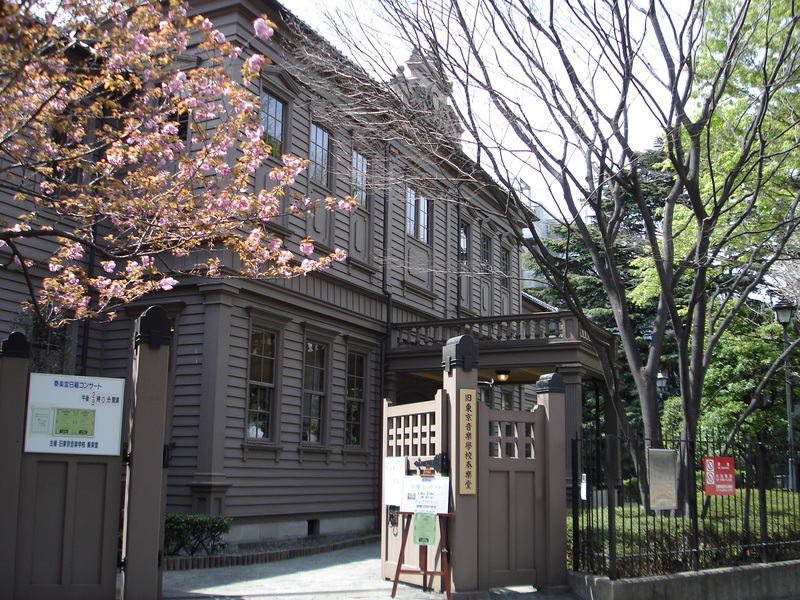 She holds teaching appointments at Kunitachi College of Music and Tôhô Gakuen College. While Ushioda married an American and spent much of her career in the United States, Angela Etô 江藤アンジェラ (b. 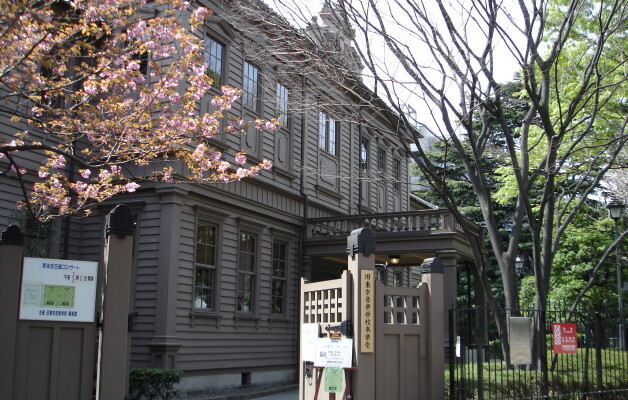 8 April 1936) met Etô Toshiya江藤俊哉 at the Curtis Institute in Philadelphia and followed him to Japan. She taught numerous Japanese violinists as well as performing, often with her husband. Other non-Japanese violinists’s birthdays with a Japan-connection include Albert Einstein アルベルト・アインシュタイン (1879-1955) on 14 April. Of course, if he were not the iconic Einstein, no-one would be much interested in his prowess on the violin (an alleged recording was uploaded to Youtube as an April Fool hoax a few years ago). But he is and people are interested, including the Japanese. Einstein performed Beethoven’s Kreutzer Sonata in Tokyo at a reception held in his honour when he visited Japan in 1922 and inspired a Japanese fellow physicist to take up his neglected violin again. Finally, the immortal Yehudi Menuhin イェフディ (ユーディ)・メニューイン　would have had his hundredth birthday this month (22 April). 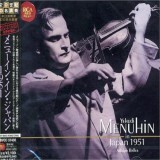 In 1951, Menuhin became the first famous foreign violinist to tour Japan after the Second World War. More than twenty years earlier, Kishi Kôichi (see March blog) heard Menuhin’s Berlin debut on 12 April 1929, an event which profoundly shook his confidence. Not that this prevented him of planning a similar feat of performing 3 concertos in one evening at his own Tokyo debut the following year. You can read more about the violinists mentioned here in Not by Love Alone.